"We recognize the importance of gaining a comprehensive understanding of your financial needs, your goals, and your lifestyle so that we can deliver carefully constructed recommendations tailored to your unique planning and investment needs." Moscaret Investment Advisory is a specialized investment advisory firm, focused on helping individuals build a solid financial foundation. 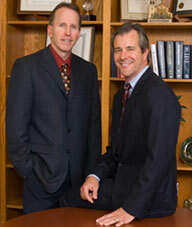 Each of our clients has different backgrounds, financial knowledge, and objectives. We will work closely with you to understand your goals, discuss your concerns, and deliver a customized financial plan that reflects your specific needs. The following case studies highlight real-life examples of how Moscaret Investment Advisory has helped individuals build a cohesive wealth management strategy. Working together, we will deliver professional, independent advice with your interests in mind. "Going above and beyond: a commitment to proactive, personalized advice." We were referred to a couple who had a multi-million dollar individual municipal bond portfolio. They were concerned about the safety of those bonds because of the municipal bond market selloff at the end of 2010. Their current financial advisor had not provided them any insights about this and was generally uncommunicative during the bond market crisis. We offered objective research for each of the bonds for potential default concerns, and conducted a "stress test" to see how future interest rate increases might impact their value. With the assistance of our broker-dealer's bond research team of experts, we presented them with an analysis that confirmed their doubts and fears about some of the holdings. Because of our objective research and analysis, this prospect became a client. Their previous advisor was "reactive" and only called them when a bond matured, to discuss finding a replacement bond. They had never before received this type of "proactive" service and personal attention, and looked forward to receiving more of it in the future. "Tailoring solutions using sophisticated financial tools." A "forty-something" client and successful business owner was in the process of selling his business for a significant sum of capital. The buyout terms included an initial lump-sum payment and final payment in five years. With a portfolio in excess of several million dollars currently under management, we understood that there were significant tax, estate, and investment management issues that must be considered prior to the transaction. We provided ongoing strategic and tactical planning during the negotiation process, including a discussion of various tax and estate planning issues. We analyzed the client's needs and discussed with them the potential tax implications of selling a business. Through a carefully developed 6-month strategic plan, we provided solutions for the tax implications and invested the proceeds into a customized portfolio suited for the client's long-term needs, while also addressing the estate tax implications he was facing. "Leveraging the knowledge of seasoned experts." A long-time client, the CFO of a company that recently went public, engaged our services to seek advice on several levels: a strategy for how to exercise the client's stock options, the relevant tax issues, and the impact this windfall would have in restructuring their portfolio under our management. After reviewing the client's options agreement, we recommended we draw on the expertise of the client's CPA to explore the tax implications in greater detail. Armed with this information, we could determine how to invest the new capital. As a firm, we work to make complex issues simple for our clients. We devised a strategy that helped the couple purchase a second home for their retirement. We then invested the remaining proceeds while employing an investment strategy to achieve the client's specific future retirement income needs. "Drawing on our experience as a seasoned financial advisor." We received a referral from the attorney of a married couple who had a portfolio in excess of $2 million. Dissatisfied with their current financial advisor and the lack of personalized attention to their needs, the couple wanted to reassess their strategy as they approached retirement. Specifically, their portfolio was overweighted in individual U.S. stocks, and was too aggressive for their situation. Upon analyzing their portfolio, we recommended a more balanced strategy reflecting the couple's need for greater diversification. Due to significant unrealized capital gains in the portfolio, we retained a number of existing stock positions to avoid any significant capital gains taxes. The couple appreciated our thoughtful and prudent approach to portfolio rebalancing and tax management. The preceding reflects hypothetical case studies and are for illustrative purposes only. Actual performance and results will vary. These studies do not represent actual clients but a hypothetical composite of various client experiences and issues. Any resemblance to actual people or situations is purely coincidental.